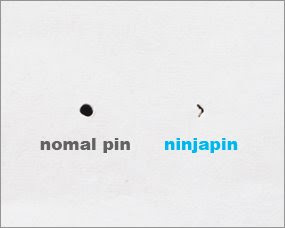 Ninjapin is the more awesome version of a push pin. Cuz it does not ruin your walls and leaves a tiny mark! 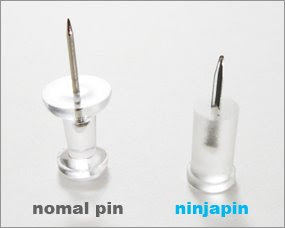 Purchase Via Amazon Japan via Rinkya Stores only 840 yen ($8.15 USD) for 15 Ninjapins!